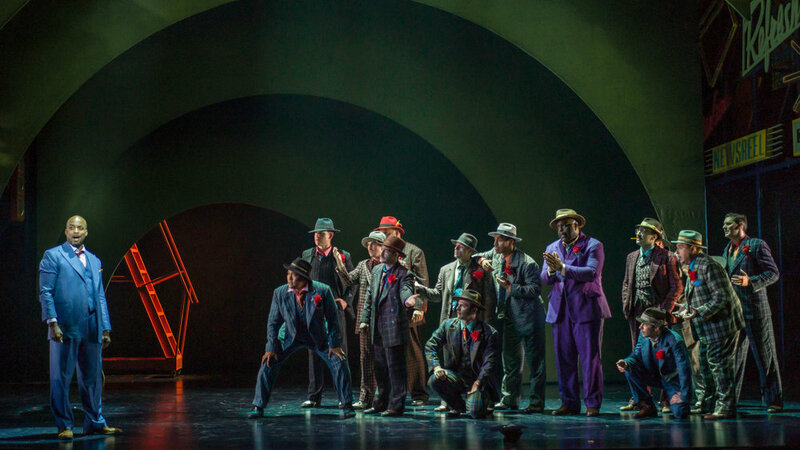 "They are supported by the wonderful Sinai Tabak's band, and highlighted by Paul Miller's lighting. 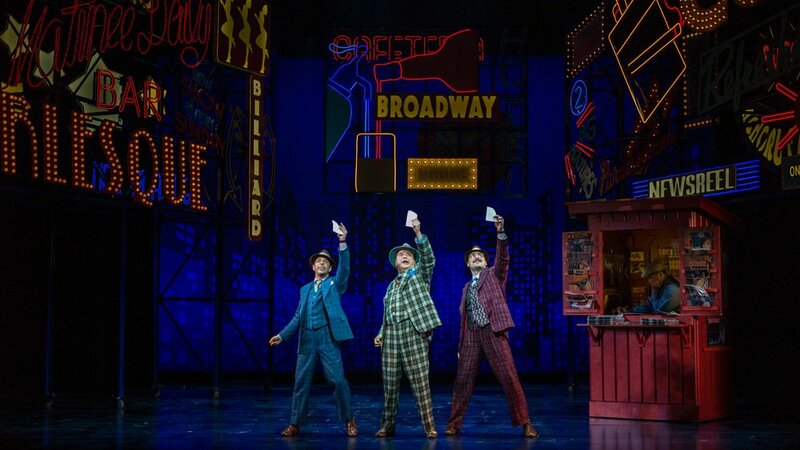 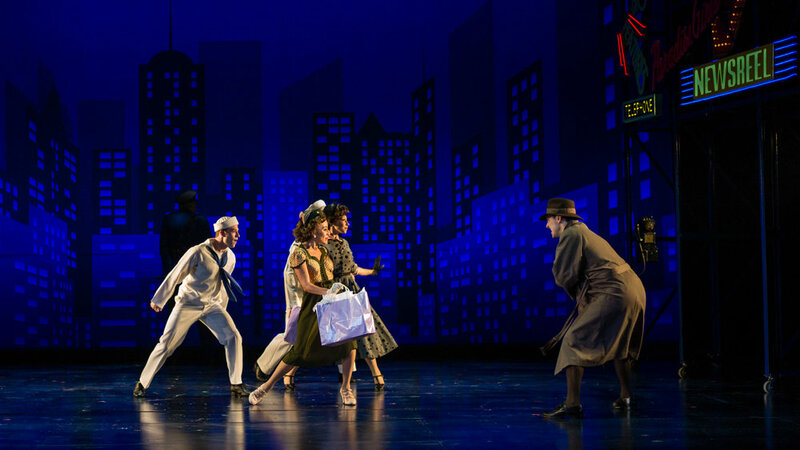 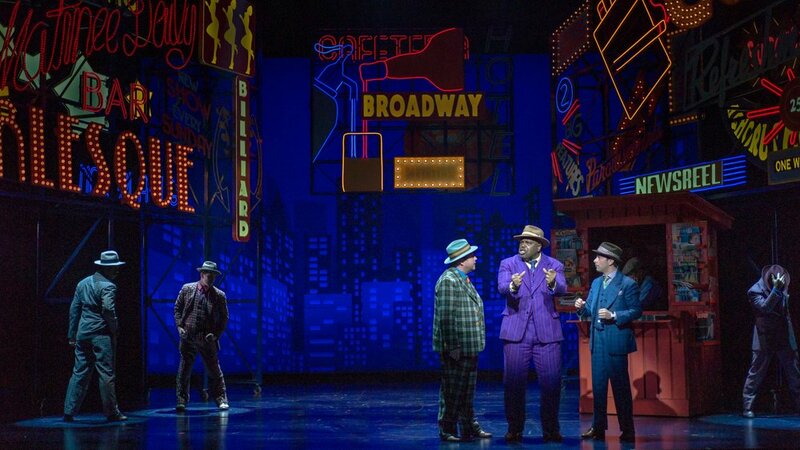 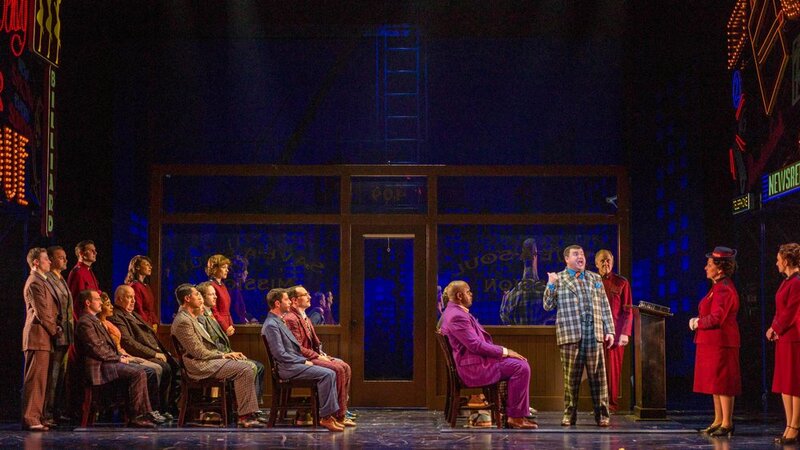 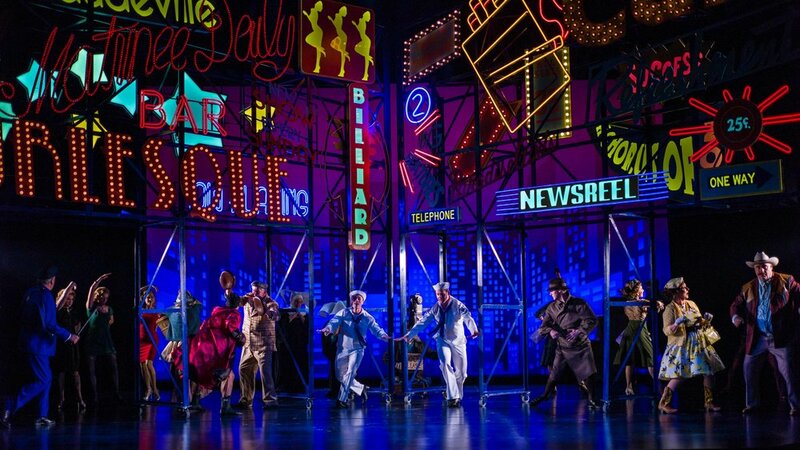 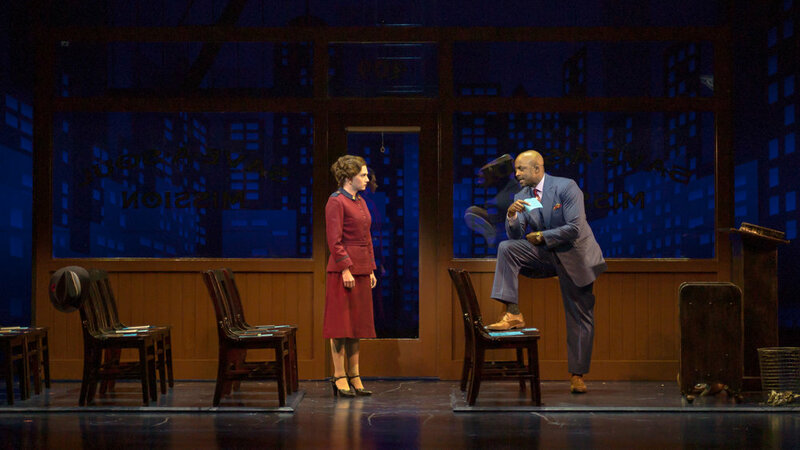 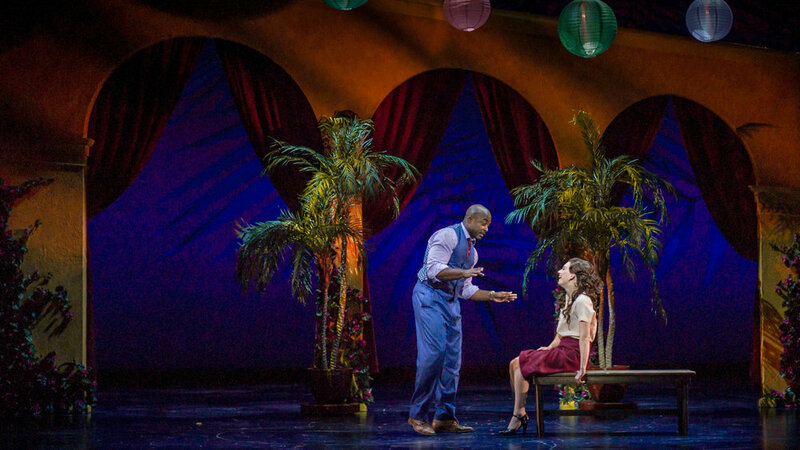 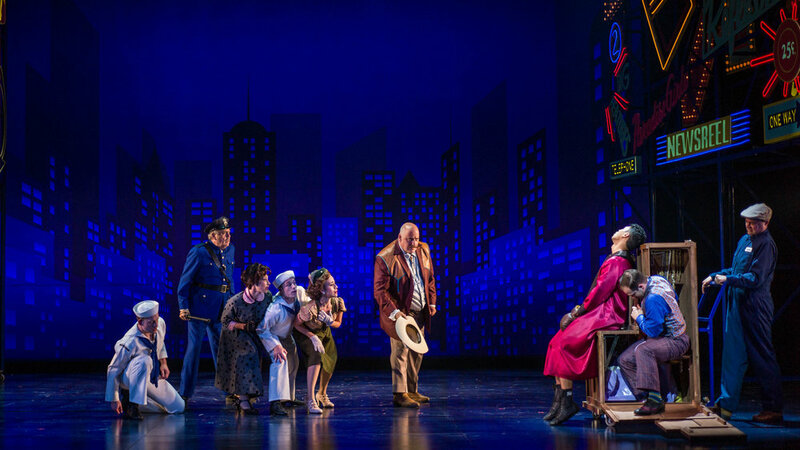 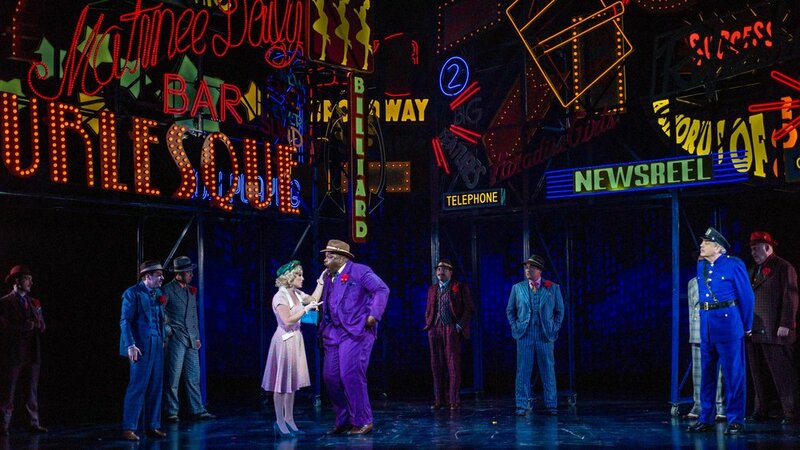 This New York bustles and dances with retro homage to the 1950's musical but it all happens under a wide expanse of neon lights which helps add a layer of Technicolor vividness to the show." 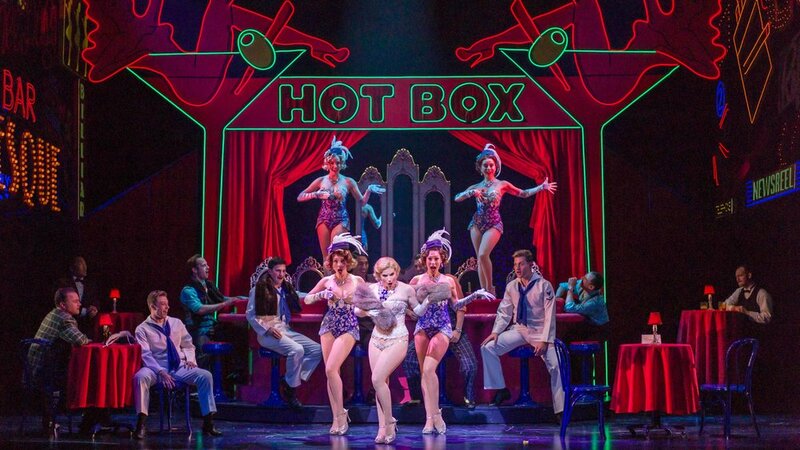 "The Hot Box, Adelaide's place of employment, is less floor show and more burlesque inspired on a lifted stage. 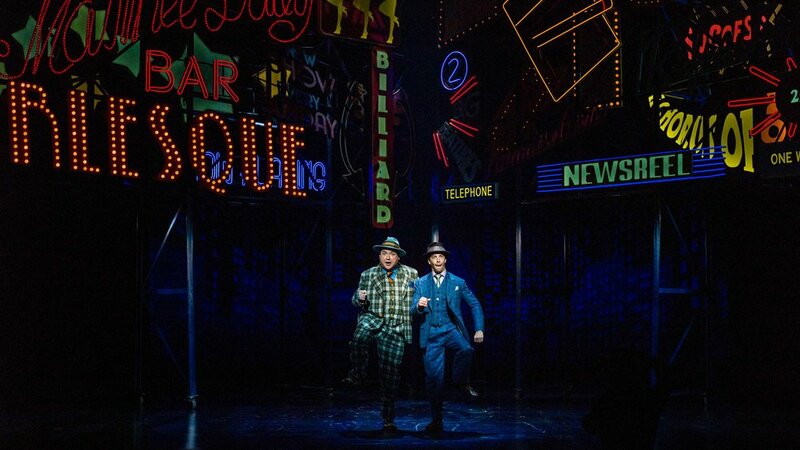 The curved lines and the lighting for the underground crap game are particularly pretty and evocative."